How to change the line colours? 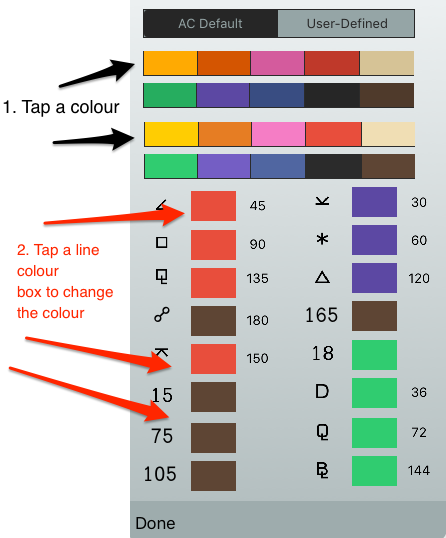 Tap the User-Defined button and then tap a colour from the 4 rows. Now tap any aspect line colour box. 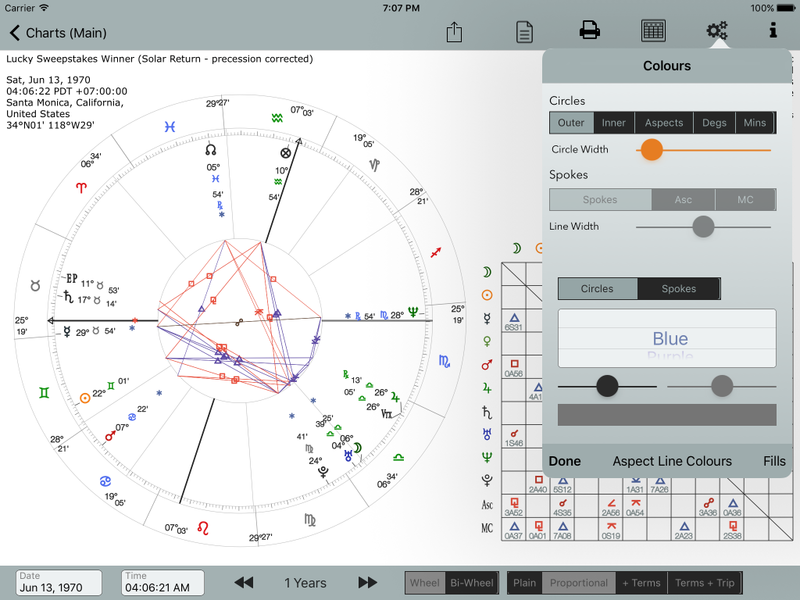 The box will change colour, and the aspect line colour will change immediately if a single wheel chart is selected, eg a Natal chart. To revert to the AstroConnexions default aspect line colour scheme tap the AC Default button.